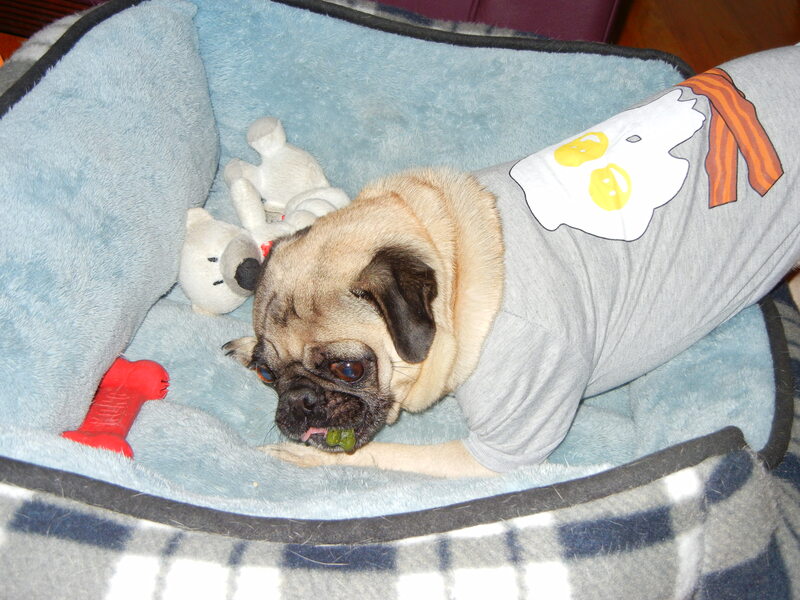 Even our pug is hesitant to get out of bed on Monday mornings. Who could blame her? However, as soon as she heard breakfast was being served, she perked up a bit. 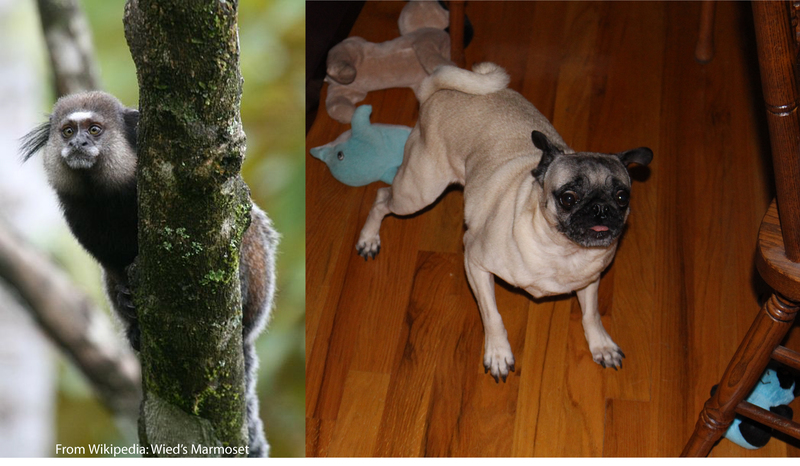 Here we demonstrate the tree stages of how many dogs deal with new things. Step 1: TERROR! Variations include fear or slight concern, as shown here. Step 2: EAT IT! If unsuccessful at eating it, proceed to step 3. 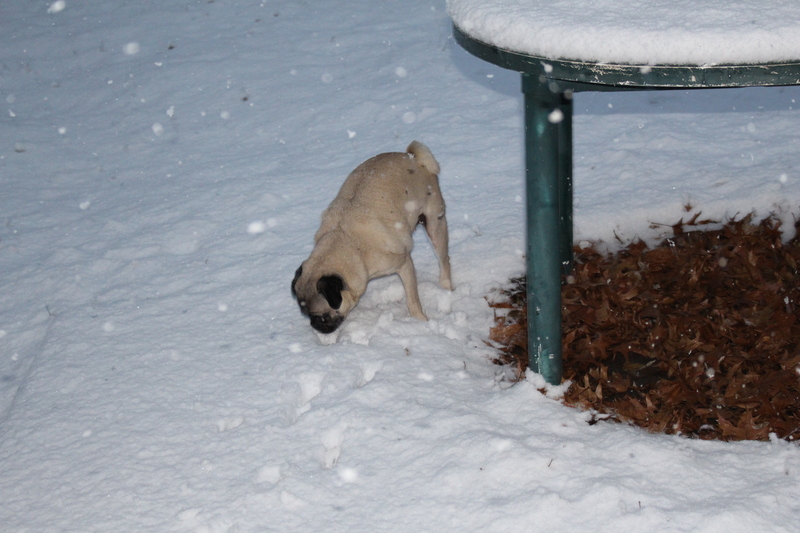 Step 3: Investigate thoughtfully to see if it actually was a threat or edible. If the latter, return to Step 2. Perhaps this is not the best and most gracious way in this case to greet an old friend, but I don’t think the penguin will holds a grudge. We were feeling pretty guilty about taking Nickie to the groomer at the pet store to get her nails trimmed because she absolutely hates it. While she was being beautified, we did a little shopping and came across this indestructible nylon bacon flavored bone. 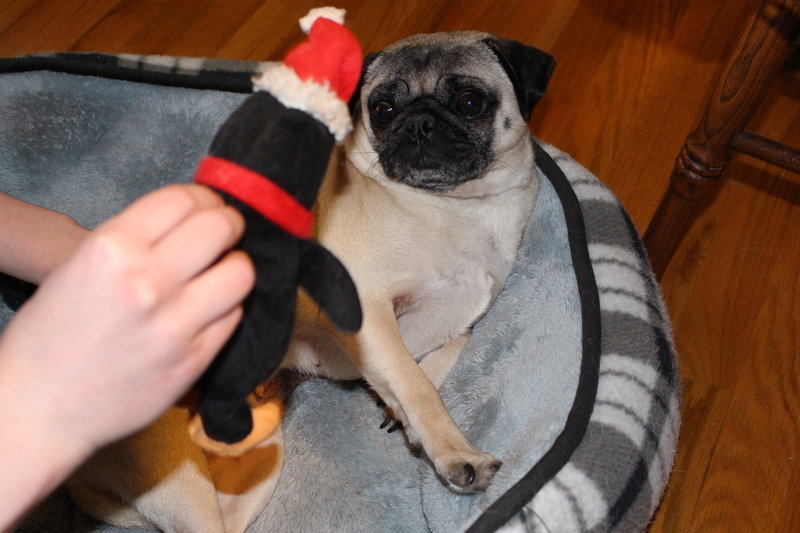 We splurged and bought it as a consolation prize for her, and the two are now inseparable. 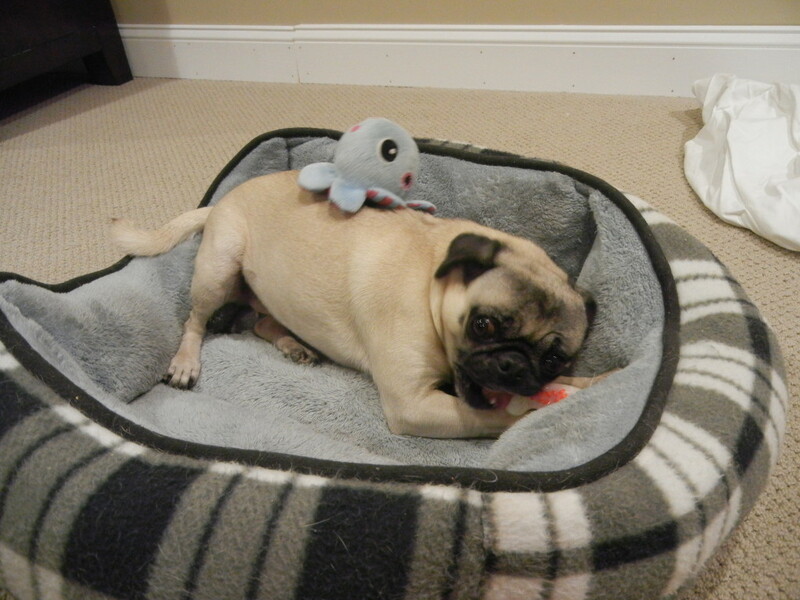 Not even her old favorite octopus toy could distract her from her chewing. 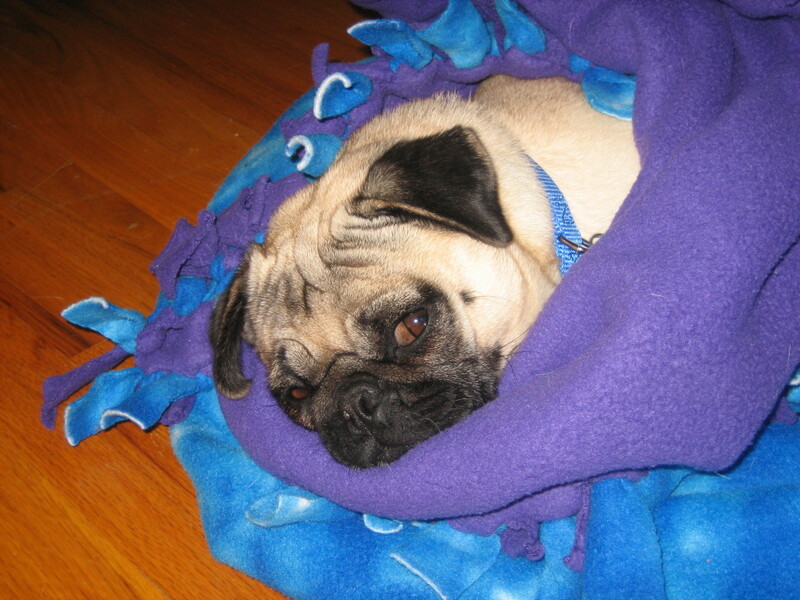 Our pug oscillates between boundless energy and heavy, snoreful sleep; daring adventure and devastating lethargy. 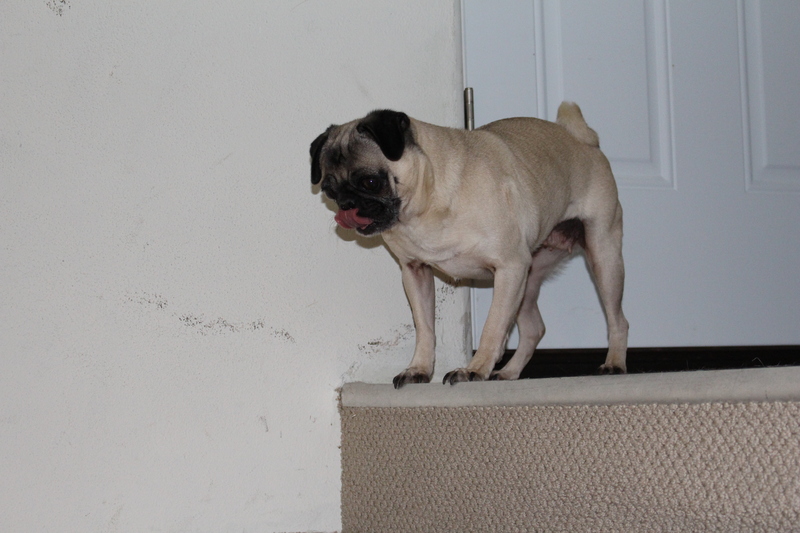 Nickie was really psyching herself up to go down those stairs, and it was looking like she was going to descend. Then she started having second thoughts and was clearly trying to evaluate whether it was really worth all the effort. The verdict? Not worth it. 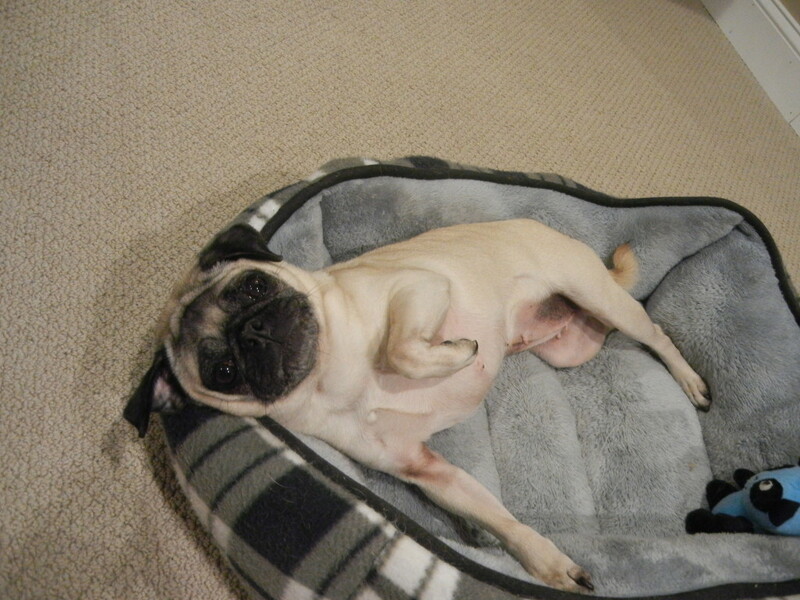 Most dogs can’t resist a good belly rub, and our pug goes crazy when you rub her tummy. 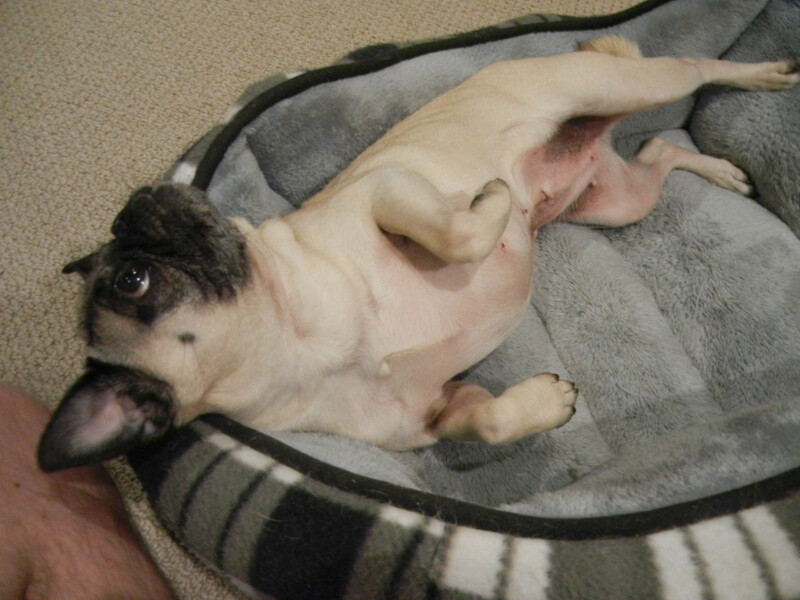 This is the characteristic position she assumes when requesting a belly rub. Note the half rolled body and bent raptor paw. With those puppy dog eyes, how could anyone turn down the invite? 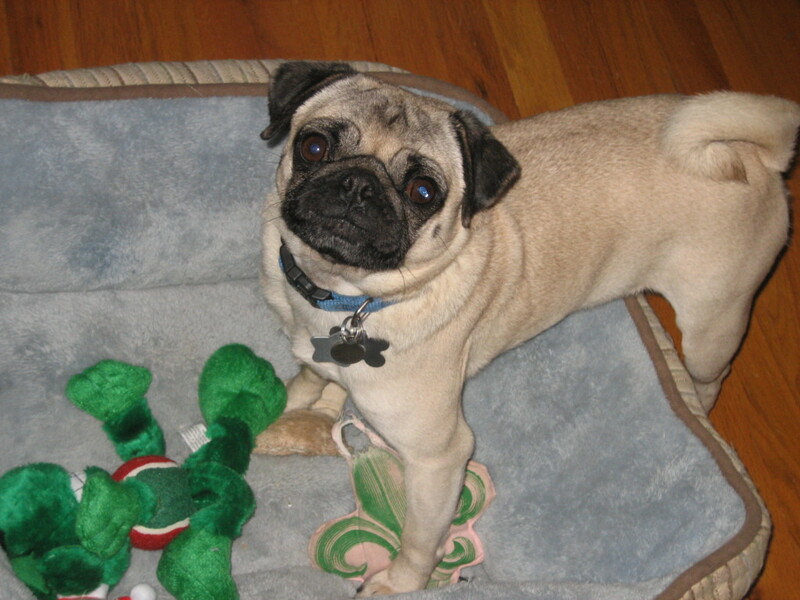 Pugs may have been given their charmingly apt name in the 1700s because they shared similar features with marmoset monkeys that were known then as “pugs” and commonly kept as pets. We can definitely see the resemblance.